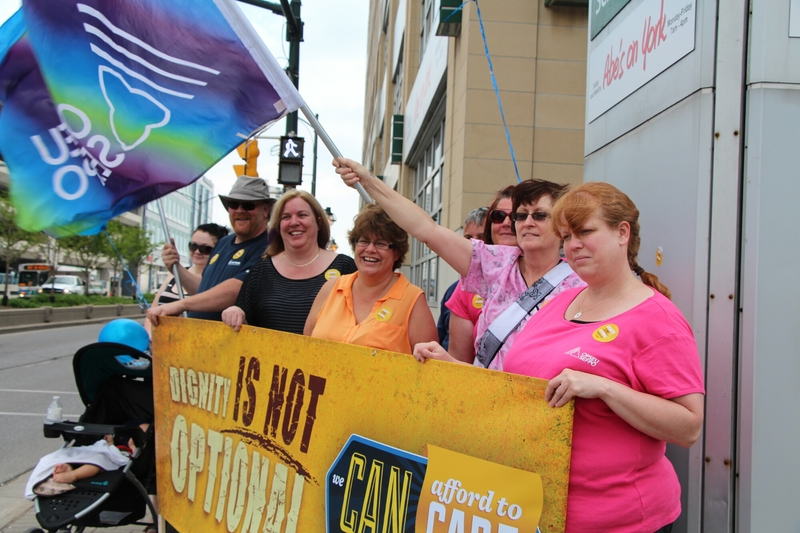 Developmental Workers across the Province help Block Walks to speak to the crisis in the Sector. All three parties agree there is a crisis but no one can up with a plan to fix it. There are currently 20,000 people on the waitlists for services. Last week a mother took her daughter to a Ministers office to abandon her own child….that is what parents have to do in order to receive services in this sector. We can afford to care….dignity is not optional!! !